Sunday sees the culmination of the National Cup competition with both sides having navigated their way through 4 rounds prior. TSK’s journey started back in October when they played host to a very well oiled D4 outfit, Bristol Hurricanes, who pushed them all the way with Kestrels holding on for a 79-69 victory. The following round presented a long trip north to match up with Team Newcastle who held off Division 2 side Myerscough College, but that would prove to be a non contest as Kestrels dominated from start to finishing running out 94-68 winners. It was another road game in the quarter final but this time in the shape of a much more local challenger, Thames Valley Cavaliers. This one would go all the way with the sides exchanging blows and short runs through out the whole game, however Kestrels rallied late to secure a 4 point victory and booked a semi final spot on the road vs. Essex Leopards. Kestrels weathered a strong third quarter run and eventually blew the game wide open to begin the 4th, securing their spot in Sundays final. TSK’s opponents on Sunday, Loughborough Riders, have risen through the divisions at the exact same rate as Kestrels. From Division 2, and the sides have almost matched either others output in NBL D1 ever since, most recently, both finishing 20-4 at the summit of D1 with Riders pipping Kestrels to the title on head to head points difference. Riders begun their Cup run back in October also as they dispatched D3 North outfit Stoke-on-Trent Knights, 112-79 before they played host to London United who are one of D2’s dark horse teams, loaded with young talent. London would run Riders ever so close matching them blow for blow, but ultimately Loughborough’s quality showed late and they held on for a 78-71 win, booking a quarter final and local derby with Leicester Warriors. The quarter final was something of a non contest as Riders were relatively comfortable throughout, taking a 22 point victory to advance to a semi final with Hemel Storm in a repeat of last years Cup semi final (Where Hemel, the eventual winners, prevailed). This time round Riders welcomed Storm to Loughborough University in a game that went right to the very end. Hemel had found themselves controlling large spells of the game until a late surge from the hosts gave them a chance to win the ball game. Up stepped playmaking guard Alex Roberts and the rest was history as he shot them into the Cup Final, 90-89. The sides have met already earlier this season in Loughborough and it was TSK who came out on top 84-71 in the midst of their 10 game unbeaten start to the regular season. However Riders have found form of late and are right back in the mix in the top 4 with an 8-4 record, whilst TSK currently occupy top spot at 11-2. Team Solent Kestrels are excited to announce the addition of Big man Travis Charles to bolster their front line for the season. Travis featured for TSK this weekend as they defeated Worthing Thunder, posting 18 points and 8 rebounds in his first appearance. Charles who hails from Brooklyn, New York, signs his first contract as a rookie out of University at Albany where he spent three years with the NCAA D1 programme after transferring from Howard Community College. After 9 appearances he would sit his first year on medical grounds, on a medical red shirt. The 6’6 forward came storming back into action for the 2016-17 season where he featured 32 times for the Great Danes of the bench averaging 7.9ppg and 3.5 rpg. His senior season would see his biggest contribution as he numbers inflated posting 14.7ppg, 5.7 rpg whilst shooting 56% from the floor. Lewis joins TSK, having initially signed for Worthing Thunder at the beginning of the season. After his release, Kestrels were able to secure the signature of the 6’3 playmaking guard as a valuable addition to the back court line up. The Toronto native who holds a British passport first came to the UK to ply his trade in the BBL with the Sheffield Sharks, after a stay that spanned across 3 seasons he moved down south to the capital, with the London Lions. Lewis featured 99 times for the Sharks and posted 13.6 ppg, 4.4 rpg, 2 apg and 1.4 spg in his final season before moving on to the Lions. His numbers would continue to grow with his role, as he averaged 14.2 ppg, 3.4 rpg, 3.7 apg and 1.5 spg for the London side. You can see Nick make his home debut tomorrow evening at Places Leisure Eastleigh as TSK welcome Manchester Magic, 8pm tip off! Holloway plied his trade early on in his career in the South Queensland Basketball where he captained Caboolture Suns before making the switch to Goldfields Giants in Kalgoorlie, Western Australia where he played four seasons as a Giant. Brandon posted all round averages this past season for Goldfields with 10.3ppg, 5.4apg, 3.2rpg in 25 regular season appearances. You don’t have to wait long at all as you can catch Brandon in action for TSK this evening as the Kestrels welcome Thames Valley Cavaliers to Places Leisure Eastleigh for an 8pm tip off, come down support and bring the noise. Turner, who is a graduate of the Derby Trailblazers junior programme, spent 4 seasons with his college side and made over 75 appearances in a Lions uniform. With his high intensity nature and athletic ability he will no doubt prove a fan favourite from the jump. Sam will also take advantage of the fantastic university link the club has with Solent Uni, where he will study for his masters degree and represent the South Premier BUCS side as they go in pursuit of their first BUCS title after narrowly missing out in the semi finals last season. Sam will go straight into tonights line up as TSK welcome Team USA Select to St. Mary’s Leisure Centre for game number 1 of the pre season schedule. Entry is free and tip off is 7pm! 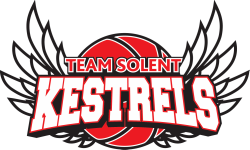 Team Solent Kestrels club captain Louie Kirkman makes his return to the squad ahead of the new season. Fresh off one of his most successful seasons for the club the hometown hero is back ready to make a push for more silverware. 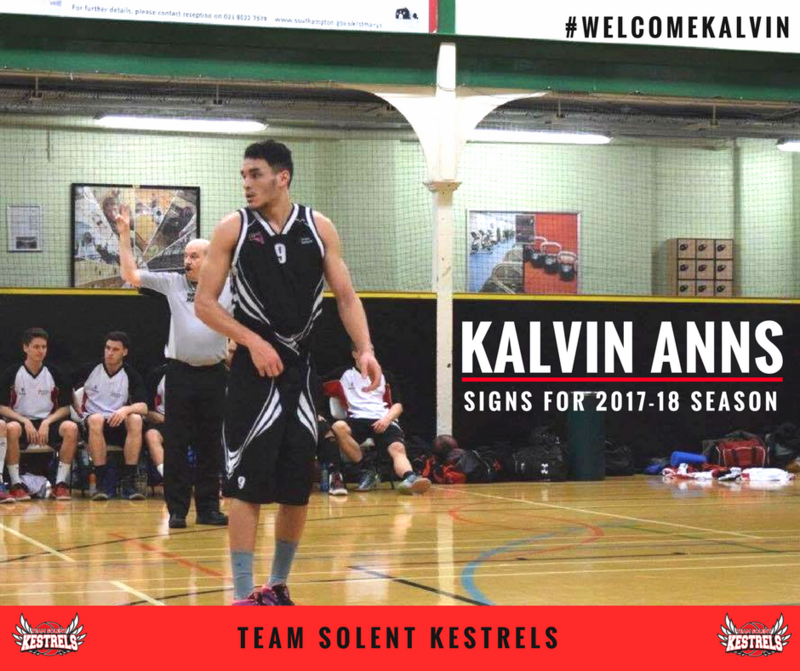 The 6’4 small forward who is another product of the Team Solent Kestrels junior programme has been pivotal in the clubs rise through the tiers over the past 4 seasons and will continue to give the side his toughness and winning mentality. Louie posted averages last season of 10.4 ppg, 6.1 rpg and 1.2 apg whilst shooting an efficient 43.6% from the floor, again showing his all round versatility from the wing. Remember you can catch the new look TSK side in action this coming Friday 31st August 2018 at St. Mary’s Leisure Centre (7pm Tip) as they play host to Team USA select in the first of three pre season fixtures. Team Solent Kestrels are excited to welcome back dynamic guard Ben Maranan as he returns from a stint at the college level in the United States. Ben, a product of Newham Youngbloods junior programme, moved to Southampton in 2015 where he completed a prep year at Itchen College playing in the EABL and NBL D2 for TSK. The 6’0 combo guard earned himself a scholarship to Mayville State College (NAIA) in North Dakota for the 2016/17 season where he posted averages of 9.4 ppg, 2.8 rpg & 1.7 apg. Which also included a 22 point season high performance in just under 17 minutes of action vs. Morris. Maranan will also continue his studies at Solent University where he’ll represent the uni in the BUCS South Premier division. Ben will join up with the team this week as pre season gets underway and you’ll be able to see him in action as the team hit the floor for their first pre season fixture a week today! Chute who grew up in the West Herts Warriors Basketball programme has a wealth of playing experience on the continent having plied his trade for a number of seasons in France, Germany and Italy. He also has a brief spell on his resume in the BBL with now disbanded PAWS London Capitals. James boasts impressive athleticism at the guard spot with the ability to shoot the three and that was what caught the attention of TSK play caller Matt Guymon. As well as representing the NBL D1 TSK side, Chute will also feature for the Solent University BUCS squad as he has accepted a scholarship to study for his masters degree through our club link. James joins TSK off of an impressive season with Italian side Frascati, where he contributed across the board to pad the stat sheet with averages of 18.2 ppg, 7.4 rpg, 1.8 apg and 1.1 spg. Everyone here at the club would like to extend a warm welcome to James and you can catch him in action for the first time in a Kestrels uniform on Friday 31st August 2018 in the first pre season match up vs. Team USA Select (7pm - St. Mary’s Leisure Centre). Team Solent Kestrels junior product, Elliot Dadds, has committed himself to the squad for the new season in what will be his 4th consecutive with the club. The 6’4 guard and former NBL D2 player of the year makes his return after also accepting a scholarship to study at Solent University for his under graduate degree. He will be another player to benefit from the clubs partnership with Solent University and will represent them in the BUCS Premier South competition. “Elliot will be with us this year as a scholarship student at Solent University which means he will be able to focus on academics & basketball full time which I think will benefit him greatly as a player. He has been a huge part of our journey from division 3 and I believe he will take his performance to another level this season.” Added TSK Head Coach Matt Guymon. Elliot becomes the 5th player to be announced for next seasons roster, stayed tuned to social media all this week for plenty more news! Averkamp helped lead his side to a 24-9 record last season whilst posting his best numbers of his college career averaging 17.4 ppg, 5.6 rpg, 2.5 apg and 1.1 spg, all whilst shooting an impressive 61% from the field. This was enough to earn a 6th seed at the NCAA DII Tournament where they made it to the 2nd round before losing out narrowly to eventual runners up Northern State. The dynamic forward also picked up NSIC All Conference 1st team accolades and All District 2nd team selection. “I can’t wait to get over to England and get started with my new team. I feel very fortunate to be able to have the opportunity to join the team after what they accomplished last year and I hope we are able to build on that for this upcoming season.” He commented upon signing. As well as suiting up for TSK in NBL D1 Averkamp will also feature for the BUCS side in South Premier action, whilst studying on scholarship for his masters at Solent University. Jon becomes the 4th signee for the new season joining Chris Scarlett, Herm Senor II and Tayo Oyefusi as the roster begins to take shape. Stay tuned all this week for signing news coming your way. Team Solent Kestrels are ecstatic to announce the return of American point guard Herman Senor II ahead of the 2018-19 season. The play making floor general has put pen to paper on a new one year deal that will see him lead TSK for a second straight season. Herm joined TSK last year for his rookie professional season fresh from NCAA D2 Quincy University and instantly staked his claim as one of the best players in NBL D1, including an MVP performance for the ages vs. Team Northumbria in the National Trophy final. Along with the National Trophy title, Senor II helped guide Kestrels to a semi final cup spot and a runners up position in NBL D1 in only the clubs 2nd season in the top tier of the NBL. Along side TSK, the 5’11 point guard was also able to take advantage of our ever growing partnership with Solent University where he studied on scholarship for his Masters in Business whilst representing the BUCS team. Senor II was a constant in most statistical categories last season posting averages of 17.2 ppg, 6.1 apg, 4.8 rpg and 2 spg, all whilst shooting 41.5% from the floor. And you catch Senor II and his new team-mates in pre season action on Friday 31st August 2018 as they take on Team USA Select at 7pm - St. Mary’s Leisure Centre. Former National Cup winner, NBL D1 Champion and current National Trophy champ, Tayo Oyefusi has re-signed with Team Solent Kestrels ahead of this coming season extending his stay for a further year. Tayo made the move down south last season from now disbanded Team Northumbria and his winning mentality carried over right away, helping TSK reach the semi finals of the national cup, finish runners up in NBL D1 and be crowned the National Trophy champions, all in a seasons work. The 6’4 forward will look to build on last year success and will no doubt draw on his wealth of playing experience at this level having featured previously in NBL D1 for Magic, Spinners, Team Newcastle and Team Northumbria. TSK Head Coach Matt Guymon was glad to secure the services of Oyefusi for a second term and heres what he had to say; “Tayo is first and foremost a winner, doing all the small unselfish parts of the game to ensure his team is successful. We are so pleased to have him return to Southampton for this coming season. Without question he is one of the leagues best defenders but we will look to Tayo this year to be more of a scoring contributor which I know he is more than capable of being for us. Tayo posted averages of 4.7 ppg, 6.8 rpg, 1.6 apg and 1.2 spg during the 2017/18 season, further pointing to his willingness to win contributing across the board where ever necessary. In the mean time as ever stay locked to our social media platforms and make sure you are following us to get all the latest information on upcoming player signings! Team Solent Kestrels are excited to announce the return of Chris Scarlett for his 4th season with the NBL D1 Men’s team. Scarlett becomes the first name from last seasons Trophy winning and league runners up squad to put pen to paper for the 2018/19 season. Scarlett is a product of the well established TSK junior programme and upon graduating the programme he spent time at Garrett College in the USA before returning home to join the senior side. The 3 point maestro contributed 6.4 ppg, 1.9 rpg and shot a little over 35% form the field all in just 15.1 minutes per game last season. On numerous occasions he tallied over 3 triples providing a constant threat from beyond the arc. Chris had this to say on his re-signing; “I am very excited to play again this season and with the core group of guys we have managed to bring back from last season I know we can improve on what we managed to accomplish the club last time around. I am really looking forward to getting the season underway and the challenges that will face us." Stay tuned to our Instagram (@solent_kestrels) and Twitter (@SolentKestrels) for all the latest signing news throughout the coming weeks! Team Solent Kestrels are excited to announce the signing of 6’0 Guard Jake Eynon from NCAA Division 2 school Texas A&M International Dustdevils. Jake signs for the rest of the season and will go straight into the line up for the Hemel Storm game on Sunday 7th January 2018 in the new year. 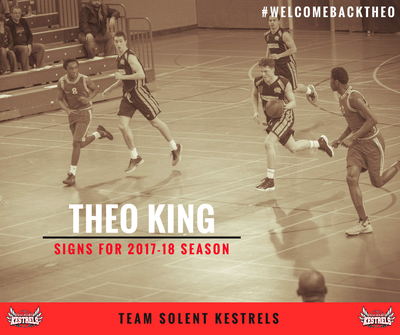 The signing will bolster Kestrels already impressive guard line up as TSK look to keep their NBL D1 title hopes going strong. Jake originally from Ipswich grew up in the Ipswich Basketball Academy at Copleston High School before venturing out to the states where he started his college career. He attended Jacksonville College and played at the JUCO level for two years whilst obtaining his associates degree before transferring to D2 programme Texas A&M International. Whilst at Texas A&M Eynon played in 53 games over two seasons, including a 23 point, 7 three pointer performance vs. University of Arkansas-Fort Smith. Matt Guymon, Team Solent Kestrels Head Coach also weighed in on the signing; “I think Jake will be a big addition for us moving forward as he is an excellent shooter & playmaker on the bounce. 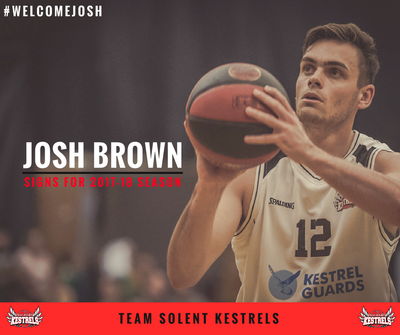 First up is Josh Brown a 6’5 stretch four who has been with Worthing Thunder since his junior days, and he makes the shift across the south coast for the new season. Josh averaged 8.3 PPG, 3.6 RPG & 1.1 SPG last season for the Sussex outfit on 33.2% from the field. He will also feature for Southampton Solent University BUCS Premier South team, as he begins to study his degree, again another sign that the club and university partnership is moving from strength to strength. Next up is a guy who makes the jump from TSK II - NBL Division 3 side, Kalvin Anns, the 6’5 swingman impressed through-out last season and Head Coach Matt Guymon was keen to involve Anns in this seasons NDL D1 side. Kalvin who also studies at Solent University, captained last years BUCS side to another Final Eight’s appearance where they would fall to eventual finalists Team Northumbria and pick up a huge win over Basketball powerhouse programme University of Worcester. Last but by no means least, Kestrels welcome back Theo King, the sharpshooting guard returns from a prep year out in the states where he attended Arlington Country Day prep school. Theo has grown up playing at all age groups for Team Solent Kestrels junior teams and he also featured heavily during the clubs successful promotion campaign in NBL D2 whilst leading the EABL in 3pt FG% (44.4%) for 2015-16 season. He also finished 7th in PPG and APG with 17.8 PPG and 4 APG on Itchen’s way to the Final Four. Again Theo will now suit up for the NBL D1 side as well as the BUCS university team as he begins his degree course with Solent University. Current NBL Division 1 & National Cup Champion, Tayo Oyefusi, has made the move down south from Newcastle, to suit up for the Kestrels for the 2017-18 season. Tayo featured for the league champions Team Northumbria during last season’s campaign and was also an influential part of their success in the national cup competition. The 6’4 Forward brings a wealth of experience at the National League level across all divisions, where he has featured for Manchester Magic, Team Newcastle University, Lancashire Spinners and Team Northumbria. If one things for sure Tayo has that winning mentality with a number of promotions and league/cup titles under his belt. Tayo averaged 7.7 PPG, 6.5 RPG and 1.3 APG all whilst shooting 48% from the floor and continuously filling the box score last season. “Tayo is a player we have been following for 3 seasons now and it's amazing to see how his game has developed over this time. He is a dynamic player that will give us a lot of flexibility with how we can play at both ends of the floor. The biggest thing for me is that Tayo is a team first guy, an excellent teammate and committed to the small details that make teams successful.” Added Head Coach Matt Guymon. Catch Tayo and the squad in their first action at Fleming Park (Saturday 16th September 2017) in the National Trophy vs. Worthing Thunder, 7pm tip off. Team Solent Kestrels captain Louie Kirkman returns to the squad hungry for more ahead of the 2017-18 season. The hometown small forward has been a major factor in the Kestrels success over the last few season and will be keen to continue his pursuit of silverware at the Division 1 level. Kirkman, a product of the club’s junior program spent a season in Iceland back in 2011/12 before returning to the club and playing a pivotal role in the rise through the divisions. The 6’5 Kestrels stalwart captained the side to back to back promotions including, two league titles and two playoff finals appearances, before helping the side to a 6th place finish in the club’s inaugural division 1 campaign. TSK play caller Matt Guymon gave his thoughts on the re-signing; “It's fantastic to have Louie back this season as he has been instrumental to our success the last 5 years. He is an unbelievable competitor who fills the stat sheet night after night. Each year he has been able to adapt his game to the raised level of competition & I’m excited to see what he can do in his 2nd season in D1. The versatile wing contributed across the board last season, posting averages of; 13.3 PPG, 6.6 RPG, 1.2 APG, 1.2 SPG and 46% from the field. “Last year was a great first season in division one and I'm really excited to see what we can do this season. We've got a strong looking squad and I really think we can make a strong push for silverware this season.” Commented Kirkman upon his re-signing. Remember to pencil Saturday 16th September 2017 in the diary, 7pm @ Fleming Park Leisure Centre, when Kestrels host Worthing Thunder in the first game of the season in the National Trophy. Former Hemel Storm and Leicester Warriors guard, Leon Henry becomes Team Solent Kestrels’ fifth signing of the summer ahead of the new campaign. Leon featured heavily for the Hertfordshire outfit last season and joins the Kestrels with two excellent seasons of production at the NBL D1 level under his belt. “Leon impressed me in both our outings against Hemel last season with his high energy & explosively quick style of play. He excels in transition but is also a consistent outside threat that can play a number of positions and our staff are really looking forward to working with him this season.” Were the thoughts of Head Coach Matt Guymon. The 6’2 guard will look to build on his 10.1 PPG, 2.1 RPG and 2.1 APG averages from last season as he joins TSK’s backcourt for 2017-18. Upon signing with Kestrels Leon had this to say; “I’m really excited to be apart of such a successful club as Solent. Having played against the guys in previous seasons, Solent was always a club I could see myself being a part of in the future. The future is here and I can’t wait to get my hands dirty with the team in what I look forward to being a bright 2017-18 campaign for us. Catch Leon and the rest of the team in action in their first outing of the season in the National Trophy – Saturday 16th September 2017 when they host Worthing Thunder, 7pm @ Fleming Park Leisure Centre. We are delighted to announce Herm Senor II as our second American signing of the summer, the Quincy University graduate will join former college team mate Joe Tagarelli on the floor for the Kestrels this season. Senor, a 5’11 Point Guard who hails from Springfield, IL spent four years at Quincy University where he would most recently take his team to the 2nd round of the NCAA DII Tournament finishing with a record of 25-7 on the year. He was able to contribute in an number of areas for the Hawks with 11.6 PPG, 6.4 APG, 3.2 RPG, 1.4 SPG and all combined with shooting 38% from beyond the arc. Again, with the Team Solent Kestrels and Southampton Solent University partnership continuing to blossom, Herm will also have the opportunity to obtain his masters degree and feature for the BUCS team at the university in doing so. ​Sharpshooting guard Chris Scarlett returns to the Kestrels for the 2017-18 season, in what will be his third season since rejoining the club on his return from the US. Scarlett, a product of the Team Solent Kestrels junior program, has featured heavily for Coach Guymon’s side during the previous two seasons providing a constant threat from beyond the arc. Upon his return from Garrett College stateside, Chris helped the Kestrels take the NBL Division 2 crown and clinch promotion to NBL Div. 1 with some stand out performances down the stretch against promotion rivals London Greenhouse Pioneers and Loughborough Student Riders. Head Coach Matt Guymon stressed the importance of having Chris back in the side for next season and had this to say; "It's great to have Chris back for another season. He has been a huge part of our success the last few years with his ability to make big plays on both ends of the floor." Chris heads back to the side on the back of averaging a little under 7 PPG in just under 20 minutes of action whilst also contributing 1.6 APG and 2.3 RPG. Stay tuned to our Instagram (@solent_kestrels) and Twitter (@SolentKestrels) for the all the latest signing news! Former Quincy University Hawks stand out and Wisconsin native Joseph Tagarelli, has put pen to paper for Team Solent Kestrels for the 2017-18 season. The 6’5 forward who was named to the GLV all conference 1st team after the 2016-17 season becomes the first new face to join the Kestrels squad for the new campaign. Joe joins the Kestrels on the back of two stellar seasons at QU where they would finish up 25-7 overall on the year last season and bow out of the NCAA DII Tournament in the 2nd round. Posting a team high 19.8 PPG in a little under 28 minutes a game, whilst averaging 8.2 RPG and shooting over 55% form the field was what caught the attention of the Kestrels coaching staff. 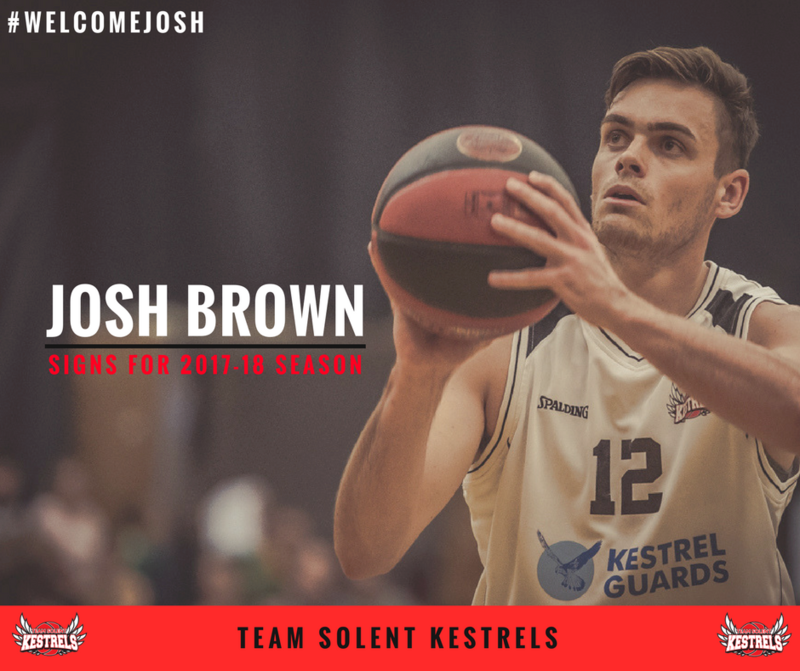 The Kestrels & Southampton Solent University partnership continues to thrive as Joe will also study for his master’s degree during his time with the Kestrels, featuring for the BUCS South Premier side.